Have you ever thought back on your travels and said, “Man, I really wish I had taken a picture of that,”? If so, the FindYou Photos app can solve all of your problems. 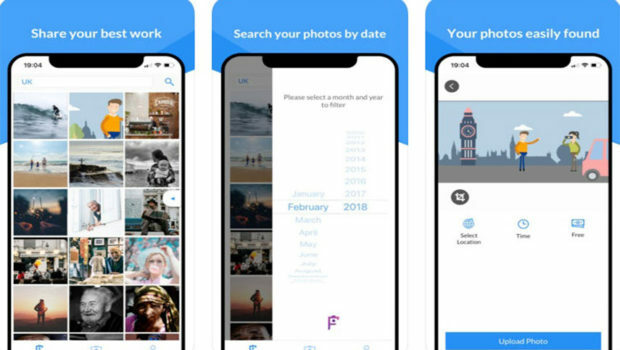 This easy-to-use app can help you find yourself in photos that other people have taken by just searching the location and date or time. So, if you’ve been thinking about that missed photo op and kicking yourself, FindYou Photos is here to help. The app is available for free for iOS users at the App Store (sorry, no version for Android users yet). After downloading it and creating an account and a profile page, you can search through millions of locations worldwide to find the exact place you’re looking for. You can even select a specific date and time if you know exactly when you were at that place. Then, you’ll get results of other pics people have taken that might capture that place (or maybe even a pic of you!). It doesn’t matter if the photo was taken five minutes ago or 50 years ago – you’ll still have access to all those great photos. more easily find pics too. It can feel super rewarding to post pics and know that you’re helping other people find photos that will be really meaningful to them. The app also helps you share your own pics with friends and family (so you’re not always spamming their Instagram or Facebook newsfeeds!). If you’re a professional photographer, you can also use the app to advertise your work or to help you connect with clients. You might notice a few minor downsides to using the FindYou Photos app. Number one is you’ll be missing out if you’re an Android user since it’s only available for iOS folks. Also, if you’re not into setting up accounts and profiles, you might feel annoyed at having to do these steps before you can even start using the app. Also, if you’re concerned about privacy, some people might get turned off by having to give the app full access to their camera roll. However, if you don’t mind these small things, the FindYou Photos app is pretty near perfect. FindYou Photos can make sure that you never miss an important photo op ever again! Just download the FindYou Photos app from the App Store to get back all those memories you thought you’d lost!